Directorate of Procurement is located on floor C, Block 5 of Adult Hospital and it provides Adult Hospital, İ.D. Children’s Hospital, Oncology Hospital, Oran FTR Hospital and Beytepe Hospital with all of the goods and services needed. 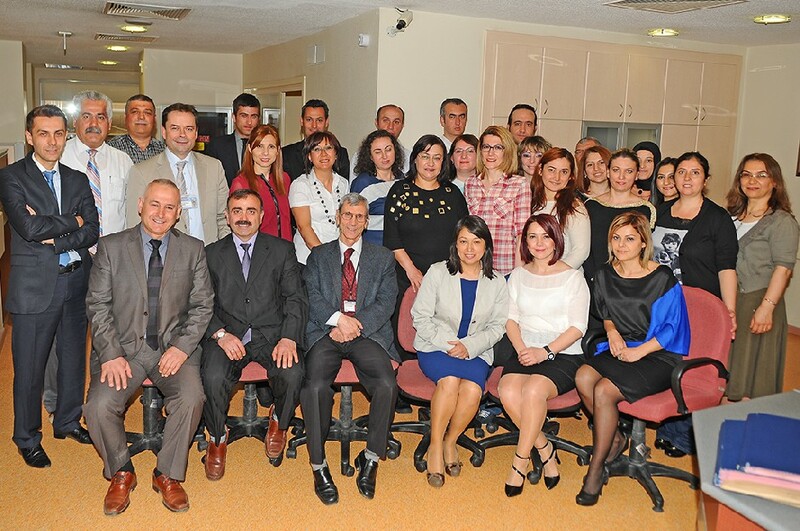 Our directorate consists of a total of 39 employees including 1 Director, 2 Deputy Directors, 2 Supervisors, 29 Administrative Employees, 2 Secretaries and 3 Mail Carriers. Barcode Collection Unit, which is located on Floor B, also provides service with 2 staff members affiliated to our Directorate. Our directorate provides service devotedly by supplying the needs of all of inpatients and outpatients as well as the staff within abovementioned 5 hospitals in a timely manner and through most economical means without giving rise to any interruption in the service. Procurement procedures are followed on electronic platform in framework of the protocol established on Electronic Public Procurement Platform (EKAP) of Public Procurement Authority. Our university was selected for pilot implementation during the software preparation process of EKAP and our Directorate worked in integration with Public Procurement Authority and proposed recommendations as a counselor. The first electronic tender in Turkey was realized by our Directorate on behalf of Hacettepe University.